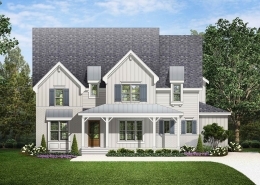 Gray Line Builders, builder of custom luxury homes in the North Carolina, Triangle. 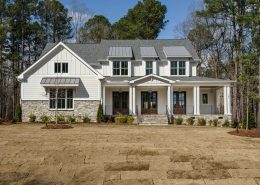 Gray Line Builders is one of the Triangle’s premier locally owned and managed homebuilding companies with years of comprehensive experience in residential homebuilding and home renovations. Gray Line Builders has a well-established reputation for delivering uncompromising quality, unparalleled customer service and exceptional value to hundreds of homeowners over the years. I gotta tell you man… this experience has been absolutely awesome. While the waiting was hard, you were unbelievably good to work with – very attentive, helpful, on time, and thorough in every detail. I could not have asked for a better builder. I would recommend you to anyone who wants to build a house. You’re the best!! We recently completed a custom-build project with Gray Line Builders. In all of our interactions with Gray Line, we were made to feel like we were their only customer, even though they had other projects underway. Many builders may say that they are customer-oriented or that they want to make their customers happy, but the folks at Gray Line lived those values, and were extremely generous with their time throughout the design and build process. Gray Line offers a comprehensive skill set, and we are very happy with our home. Their homes are not just structurally sound, but also state of the art and “future-proofed” as much as possible. Justin Patsey built our house as if he was going to live in it, with the highest standard of quality and attention to detail. Amy Patsey brought valuable perspective on design, color, and style that helped our decision-making throughout the process. All of this was done with a great deal of sensitivity to the things that mattered to us – functionality, budget, etc. It is also worth pointing out that the track record and relationships Gray Line has with its suppliers/vendors/subcontractors engenders loyalty. This not only helped to ensure that work was done on time and with appropriate quality, but was particularly valuable when something didn’t go quite as planned – which is inevitable in a custom building process. This was the second home that we have built, and from our experience one of the most critical factors to a successful outcome is trust. We developed immense trust in Justin, Amy and all of Gray Line, and we look forward to living in our new home for a very long time. Justin and Amy – thank you very much! This spring my family moved from Pittsburgh to the Raleigh area in a corporate move. We reviewed about 40 homes both under construction and existing. In our shortlist (5) we considered two purchases (2) that were being built by Grayline Builders. Why? Attention to detail on the finish of doors, molding, cabinets, paint, and landscaping. Appealing outside and inside designs. Upscale amenities. Highly efficient cooling and heating. House completely ready for TV/internet connections. Fast response and support to our questions and issues. Thorough turn over when we were delivered the home…they spent 3 hours going over how to use the home! I built a home with a contractor 15 years ago and this is my third new construction dwelling, so I know a quality home and builder when I see it I can highly recommend any home built by this company. Our family wishes to thank Alan and Justin for the outstanding experience we had working with Gray Line Builders on the construction of our new home. The standard that Gray Line sets is a high one and it was our pleasure to work with them on a professional and personal level. We are so happy to recommend them to anyone wishing to build a new home. The knowledge, integrity and kindness that Alan and Justin bring to the building process, are qualities that anyone would gladly welcome in a builder–or a neighbor! Never having had a house built new before, we did not know exactly what to expect. As such, before getting started, we had our concerns. We’re so happy to say that the process was, in fact, a pleasure. Working with Justin, on nearly a daily basis, whether in person, on the phone or via email, was always very positive. Gray Line really worked above and beyond to make all aspects of the construction process run smoothly; from the clearing of the lot, to all of the interior selection, and the handling of specialized customizations that make our home unique and special, they were with us all the way. What a fine team. My wife and I met with Gray Line at the beginning of July 2012 to interview them about possibly building our dream home. Needless to say, the meeting went better than expected as we absolutely love our Gray Line built home! There were about 10 custom builders to choose from in our neighborhood and without a doubt, Gray Line stands above the rest. Their attention to detail, use of subs, communication with the client, hands-on nature, and the team they have assembled makes what is a very stressful process, rewarding. From that first meeting, to breaking ground 4 months later, after having several meetings with Gray Line and the architect to design our home from the ground up, it was clear that while some “custom builders” are merely production style builders with the ability to customize, Gray Line is truly a full custom, create the client’s vision, custom builder. Our home was started in early November 2012 and completed late May 2013. A massive undertaking, and at nearly 7000 square feet, they didn’t miss a single detail and met with us on almost a daily basis to explain each step of the process including why certain construction they do is done a specific way, and what sets it apart from the rest. One of the most stressful parts of the process is selecting EVERYTHING in the home from granite to lighting to cabinets and on and on………Without the help of their in-house designer Amy, we would have never achieved the end result of our vision. Her talents are second to none and a huge asset to the team! In the end, our dream home became everything and more than we could have possibly dreamed. Shelly and I wanted to write and tell you guys what a pleasure it has been working with Gray Line and how much we love our new home and neighbors in the Bella Casa community. From the beginning of our experience as you helped us “tune” the home to our particular needs, through the contracting cycle, and the punch list follow-up, you guys have conducted your work as top-notch custom home builders. We are excited that you are continuing to build in Bella Casa, because we know that you will maintain your standard of high quality homes. For example, we’ve watched you build the new homes next to us and we continue to be very impressed with your high building quality and work site professionalism. Thanks again for our beautiful home; we love our new Gray Line home! I fully agree with what other customers have said about Gray Line’s workmanship, work ethics, quality and responsiveness to customer care. It is very easy to come up with flashy vision/mission statements for your company, but seldom, will you find people who really follow their statements. The Gray Line team is the embodiment of their mission/vision statement. In the process of building our home, we got to know Alan, Justin and Amy personally. When our new home was complete not only did it exceeded our expectations, we also made some new friends during the process. Justin – special thanks to you for taking a personal interest in us and our home and showing extreme patience; Amy – for spending several hours patiently in making sure we made the right selections and finally Alan for adjusting our allowances and rearranging the schedule to accommodate our religious beliefs. I highly recommend Gray Line Builders LLC to anyone who is looking to purchase a custom home in the Triangle area. I purchased a home from Gray Line in Cary, NC and I have been very pleased with the product that was delivered. Prior to purchasing, I looked at several homes for sale and the Gray Line home provided the best combination of good location, quality of materials and craftsmanship, and value for my money. 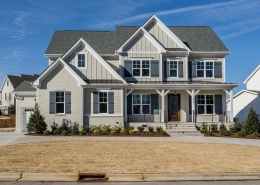 While many builders in the Triangle area are building “cookie cutter” homes with very little variety, Gray Line builds a unique home on each lot with its own look that stands out from the rest. Justin Patsey and Alan Hill of Gray Line Builders have been exceptional to work with. They were very helpful to me while making final selections for the plumbing and lighting fixtures prior to closing on the home, and they have also been hands-on with anything that has been needed after purchasing the home. They are quick to respond in a professional manner and their subcontractors are also kind and professional, as well. I have no doubt that Gray Line stands behind their product, and will continue to do so for years to come. It is assuring to know that they are a simple phone call away since they are locally owned and operated. I have no doubt that anyone looking to buy a new home in the area would share the same wonderful experience I have had if they choose to purchase a home from Gray Line Builders. I know that Justin and Alan will work hard to assure that they do. I can highly recommend them without reservation. Dear Justin and Alan, We love our new home! Boxes and all, it is a happy place to come home to and we look forward to many more years here. I want you to know how grateful I am for your incredible workmanship and integrity; qualities which are rare in general and scarcer still in the building industry these days. Your commitment to customer service goes above and beyond the norm, and the homes you build are simply beautiful… and built to last. So I thank you for a pain-free building experience and a wonderful place to call home. P.S. Please extend my gratitude to Amy for all her help with selections. She was great! Gray Line Builders built our home in Sunset Oaks. We’ve owned four homes and have built three of them new. I can honestly say that Justin Patsey and Alan Hill were the best custom builders I’ve ever been associated with. They made the building experience fun and enjoyable. They were on the job site every day and are two of the most approachable guys in the business. They explained the process thoroughly and were always a phone call or text away. We interviewed several builders in the area before deciding to go with Gray Line. We made our decision to go with them not solely on the fact that we knew they were good quality home builders but because they also cared. Plain and simple. They cared about building us a quality home. They’re great guys and I would recommend them to anyone. I cannot say enough how pleased we are with our home, it is more than we ever possibly dreamed. My son Havish is also very happy in the big house. We are very pleased with all energy-saving and interior/exterior features of the house. You are the best in the business. I wish you all success and good luck in your business. 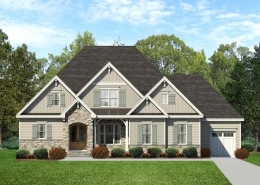 We would recommend Gray Line Builders to anyone who wants to build a quality home. Justin and Alan truly showed a passion for what they do and made us as their client a priority. They made our home buying/building experience a pleasure by being trustworthy, timely, and always available when we had questions. We feel privileged to have worked with such wonderful builders. Justin and Alan built our home this past year. From our first phone call to talk about lots and floor plans up until today, they have been nothing but helpful, professional and an absolute pleasure to work with. They made building a house seem easy. They are always available via phone or email and will do everything they can to make sure you are satisfied. Their subcontractors and support staff are just as good. If we ever have the need to build another home, we would definitely use them. We highly recommend them! You won’t be disappointed! Over the past several years I have had the opportunity to be associated with Alan Hill and Justin Patsey in the homebuilding industry in the Triangle. The career training they received as Officers in the United States Army prepared them well for a career in an industry that relies on positive relationships and personal interaction to accomplish its goal. They are respected by their peers and the kind of individuals that are always striving to achieve excellence in customer satisfaction and product design. Alan & Justin were a pleasure to work with. Not only did they provide a very high level of customer service to my buyer clients and myself, but their extreme attention to detail really showed in the quality of their home. I would certainly welcome working with them again and highly recommend them to other Agents and buyers. Having had a long standing business relationship with both Justin and Alan, it is obvious upon one’s first encounter with these gentlemen that they approach every aspect of their business with integrity, creativity and thoughtfulness. The passion they demonstrate in every facet of the process, from land acquisition to home completion, is truly contagious, and that passion manifests itself in their attention to detail, commitment to innovative design and quality construction. To even a casual observer, it is clear that they are focused on being leaders in the building industry. I would recommend Gray Line Builders without hesitation. Justin and Alan have been fantastic to work with. As a buyer’s agent, your top priorities are your clients’ concerns, comfort levels, and being the liaison between a builder and your clients if something starts to go amiss. My clients could not have been happier with the product that Gray Line delivered. It was wonderfully built, with high attention to detail, customized to my clients’ standards exactly as they wanted. Any time my clients wanted something, Justin and Alan always had the perfect “can do” attitude that made us believe all things were possible, and they did as they promised, with a smile on their faces. I cannot say enough about how wonderful it was to trust the builder to take the clients’ interests and make them their own. I can’t wait to work with them again, and highly recommend them to anyone looking for a custom builder that puts the clients’ interests first.